Arthritis is has become one of the leading cause of disability worldwide. The term arthritis does not denote just 1 disease----but is a complex disorder that includes several distinct conditions. 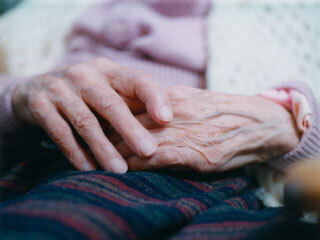 Arthritis can affect a person at any age but it is more common in the elderly. The commonest types of arthritis are----osteoarthritis and rheumatoid arthritis. Although, the cause, risk factors, and effects of various types of arthritis are different they have a common symptom—persistent joint pain. The prescription medications used to treat arthritis are not very effective and the side effects of the medications can be problematic. Due to these limitations of the prescription medications people with arthritis often go for alternative therapies. But a dilemma is ----whether these treatments work? And are they safe? Can Acupuncture Help Relieve Arthritis Pain? According to acupuncture an illness is caused by a disruption of Qi, or the flow of energy in the body. This leads to an imbalance of energy. Acupuncture by stimulation of the energy that flows along the meridians, or energy-carrying channels can correct this energy disruption and help the body to heal. Acupuncture also stimulates the body to secrete chemicals that decrease or eliminate painful sensations. Before starting acupuncture treatment the acupuncturists will take a detailed history like ask you about your primary health concern, lifestyle habits, food habits and appetite, pain in the joints, sleep, stress, and sensitivity to temperature, and climatic changes. He or she will examine you, and make a diagnosis---- and then choose the acupuncture points for treatment. Acupuncture points that are used to treat arthritis are found all over the body and are not located just directly over the affected area. When the needle is inserted you will feel a slight sting or prick. After the needle is inserted, you should not feel any pain. During the treatment you should feel comfortable and relaxed. Your acupuncturist can guide you regarding the number of treatments you need and how often you should come for them. 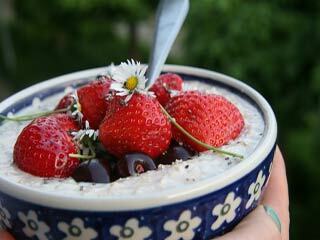 Your acupuncturist may recommend use of herbs along with acupuncture. Studies have shown that acupuncture can be very effective at treating the pain and inflammation associated the different types of arthritis. In a study in 25 percent of arthritis patients who were to undergo knee surgery for arthritis the operation was cancelled following acupuncture treatment---as they had considerable improvement in pain and functional ability after acupuncture treatment. This change was not noted in patients who received advice and exercise therapy. This shows that acupuncture is more effective as compared to advice and exercise in relieving pain and functional limitation in people with arthritis. In another study in elderly arthritis patients with knee pain due to arthritis showed significant improvement after acupuncture was started in addition to their standard therapy. Acupuncture is a low-risk procedure, safe and effective procedure when performed by a properly trained and licensed practitioner. 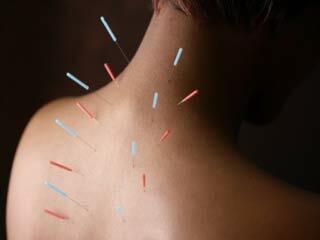 Acupuncture can be of help in people with arthritis. You can continue the use of your prescription medications along with acupuncture. Before you start acupuncture inform your regular healthcare provider.